But if you have a third party PV solar panel system on your roof, mortgage lenders are already beginning to reject mortgage and re-mortgage applications. Unfortunately for those that did participate in such schemes, early indications are not suitable for thousands of people who have these systems and are now contractually locked in for 20 years. 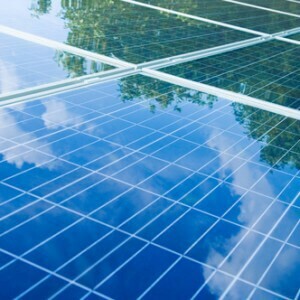 Some solar panel companies designed a roof and free solar panels schemes, to take advantage of the generous feed-in tariff scheme, which proved popular, in 2010-11 with the 15.44 pence per kWh financial incentive. However, the government had to act quickly to curb the torrent of applications late last year, because the number of installations taking place was unsustainable. Stuart Lovatt from Heat my Home adds “If you are a homeowner with this type of solar panel installation, I would double check your small print and contact your free solar panels company for clarification. Buying the solar panels yourself will also give you the generous financial feed-in tariffs reward, which ultimately is, why your chosen solar company installed them in the first place. Benefit yourself from the panels; the sell-ability they provide and the generous feed-in tariffs too will be yours. If you are unable to buy out your solar panels, then, unfortunately, the signs are not good. Mortgage lenders are unhappy about lending to properties with third-party technologies attached, especially to the roof. This new, never been seen before, mortgage barrier, could begin floods of legal disputes as people find it impossible to sell their homes further down the timeline. The bottom line is the feed-in tariff scheme now designed as an incentive for individual homeowners in mind, and the rise of the free solar panels schemes took even the government by surprise. If you think you may be affected, then read and double read your contract to see what options are available to you, because the details of these arrangements vary considerably from company to company. A buyout option is always possible, usually at a cut-price or discounted rate, which may allow you to still benefit from the solar panels on your roof.